Tucked neatly above an unassuming whisky shop in London’s west end, the Soho Whisky club welcomes the true whisky lovers. Gain exclusive access to this independent member’s only bar, and enjoy this unique tasting of 18 year old whiskies from the five whisky regions of Scotland. The Soho Whisky Club is an independent member’s only bar, situated above the Vintage House, Soho’s specialist whisky and liquor shop on Old Compton Street. 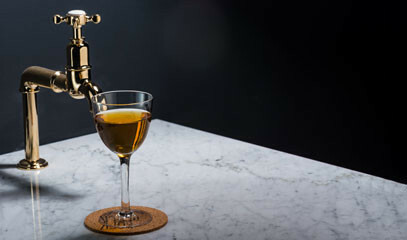 An oasis from the bustling Soho streets, the Soho Whisky Club stocks 600 types of whisky (and whiskey), sold by the dram to those seeking to learn more about their favourite beverage. 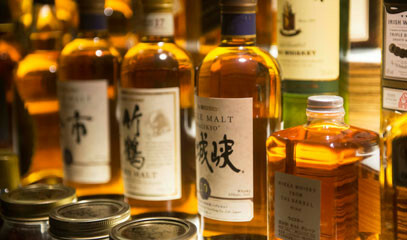 The focus here is scotch – with only a handful of Japanese, American and Canadian whiskies. The spirit is so tied to Scotland that much of the romance surrounding whisky comes from its country of origin, and its five distinct distilling regions. Like terroir in fine wine, each region’s micro-climate and distillation method offers a unique flavour; allowing each whisky to have its own unmistakable geographical ‘stamp’. In this unique whisky tasting experience, you can enjoy working your way through 18yo scotches from the five regions; Speyside, Campbeltown, Highlands, Islands and Islay. This the the perfect tasting for those looking to develop their palate and knowledge, or as a crash course in Scotch for whisky beginners. The Soho Whisky Club is a relaxed atmosphere, full of character and charm. This experience is available Monday to Saturday,1pm to 8pm. Please note the tastings start on the hour. The tasting will last approximately 90 minutes. Please provide at least 48 hours’ notice for cancellations. In the event of cancellation, an alternative date will be offered. Limited bookings are available Monday to Wednesday. We recommend booking between Thursday and Saturday. Guests can pay in full on-site for any additional products or services desired. This experience is priced for 2 people. Additional guests can be added by selecting "add an extra guest" above, up to a maximum group size of 8 people. Please contact Truly for information on pricing for groups larger than 8 people. All bookings are subject to availability. We recommend booking at least one week in advance to guarantee desired dates and times.